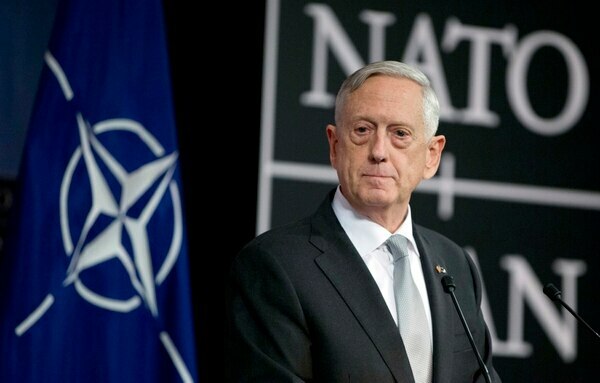 BRUSSELS — After months of lobbying NATO allies to increase their troop contributions and support to the war in Afghanistan, the alliance came up short Thursday, meeting a bit more than 90 percent of the military requirements mapped out by commanders, according to NATO officials. The gap, said Gen. John Nicholson, top U.S. commander for Afghanistan, has contributed to the lowest level of capabilities and the “highest level of risk we faced” in the 16-year war. 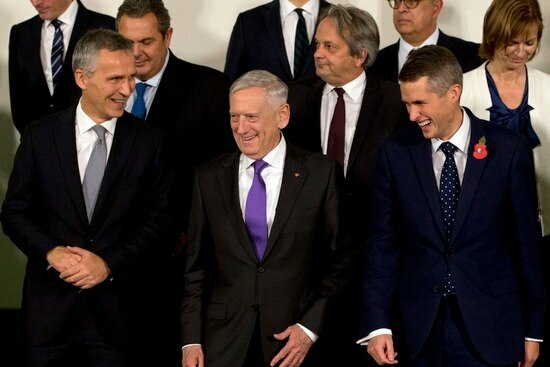 Nicholson and Scaparrotti declined to provide details on the numbers, but other NATO officials confirmed that coming out of the meeting Thursday there would be a shortfall approaching 10 percent. The officials weren’t authorized to discuss the numbers publicly so spoke on condition of anonymity. NATO defense ministers are meeting here to provide their countries’ latest decisions on troop contributions, under pressure from U.S. and NATO leaders to beef up their commitments. Defense Secretary Jim Mattis sent letters to some allies in recent weeks urging them to fill critical gaps. The additional trainers are critical to reaching the stated U.S. and NATO goal of building up the Afghan forces so that they can take control of their own country’s security. At the same time, officials want to use the increased military pressure to force Taliban leaders to the peace table. 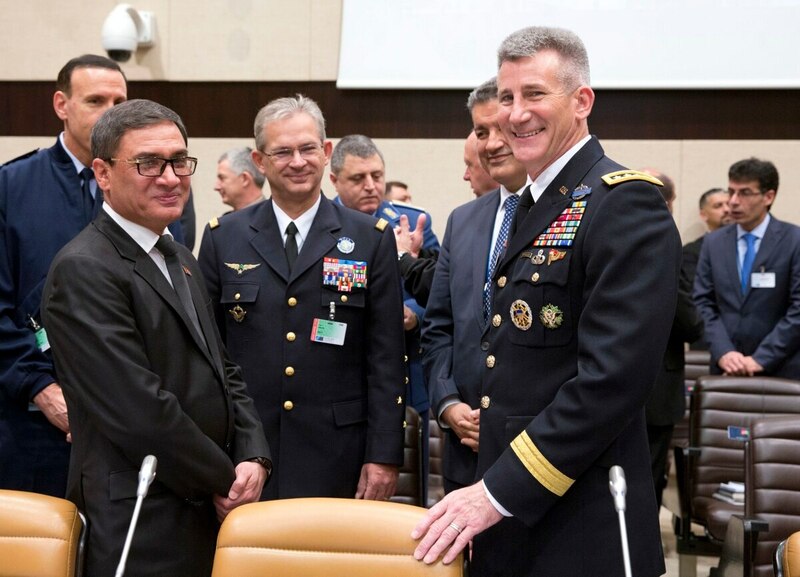 Scaparrotti told reporters that, at the end of the day, there will still be a need for additional trainers and advisers, particularly at schools for Afghan forces. Nicholson told reporters that that he needs close to 16,000 troops to fill the NATO training mission in Afghanistan. That number does not include other support missions or counterterrorism operations against the Taliban, Islamic State militants and other insurgents. Nicholson said he is most concerned about getting enough trainers and advisers for the Afghan commandoes, the Air Force and the schools where the military and local police are trained. In addition, he said he has asked for more forces to provide security for the troops. NATO officials said Thursday that they met their goal of 16,000 troops for Afghanistan. That success, however, is due in part to the increase in U.S. troop levels. Still, NATO and U.S. officials lauded those nations that came through with additional forces. 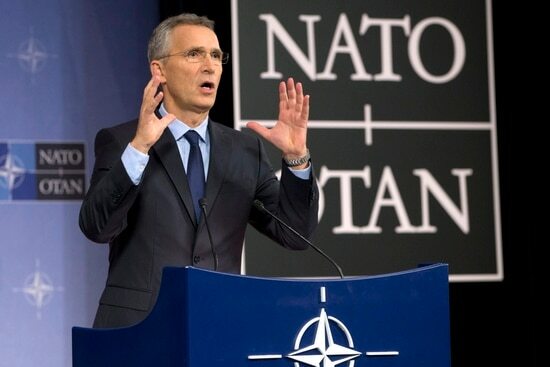 NATO Secretary General Jens Stoltenberg said NATO will stay in Afghanistan “as long as we deem it necessary,” adding that it is impressive to see the continued commitment of the allies after 16 years. He acknowledged, however, that “we still have some gaps” in the troop commitments. Nicholson said his aim is to get enough NATO and partner troops doing the broader training so that American forces can do other key military missions. President Donald Trump in August outlined the new U.S. approach to the stalemated war, including in U.S. troops to train, advise and accompany local forces at the brigade level ― which the Afhgans call Kandaks. That puts U.S. forces closer to the fight, but enables them to better direct the smaller units in combat and provide additional airstrike and support capabilities. Trump also said the U.S. would shift away from a “time-based” approach, and instead link assistance to results and to cooperation from the Afghan government, Pakistan and others. Until now, there have been advisers with smaller Afghan special forces units. But the additional resources will allow allies to put advisers with smaller units of the Afghan conventional army.